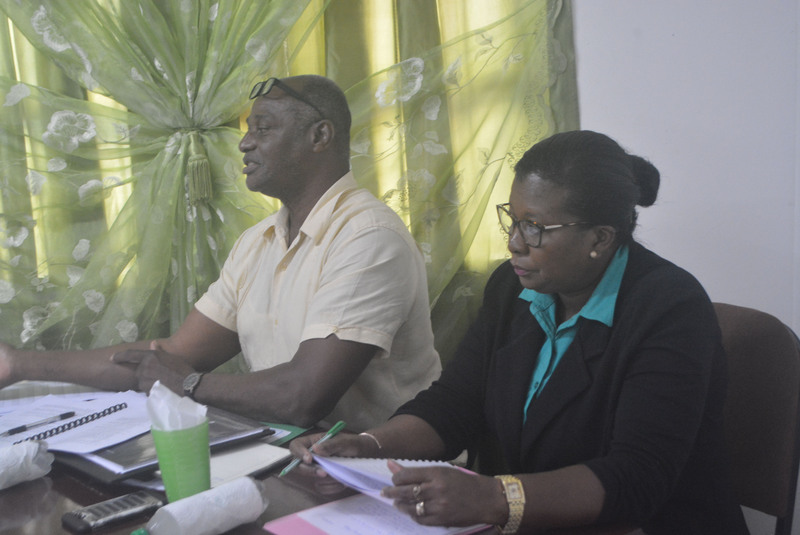 Regional Executive Officer of Region Ten, Orrin Gordon says that plans are on stream to secure some eight teachers for Kwakwani as students prepare to write the CSEC exams later this year. According to a release from the Region 10 Public Relations Department, he revealed that the grave shortage of teachers was brought to the attention of the Regional Democratic Council (RDC). The Regional Chairman had instructed the REO to launch an investigation into the matter to ascertain what can be done and why the students were without teachers for a while. Gordon reported that the Department of Education was able to secure some teachers for Kwakwani, while it was noted that securing teachers to work in Kwakwani was a challenge as many were not keen on working within the community. Gordon said that plans are being made by his office and the Education Department to have this matter corrected. According to the release, he, however, noted that one of the greatest challenges that they are faced with is accommodation for these teachers. He said that they have completed the living quarters for housing the officers but that they have to be furnished. “The quarters that will be housing these officers are finished but we are awaiting the furnishing that has to go into the building before the officers can take up their accommodation. There are four teachers that has been sent in and we have space in the teachers’ hostel as well, however the greatest challenge now is furnishing as that is the burning issue,” the REO said. He added: “I am confident that once we would have secured the furnishing that is need that we would get the eight teachers that are required for the schools there in Kwakwani,” Gordon said. He urged Region 10 Councillor Mavis Lewis to continue playing a vital role in closely monitoring the situation in Kwakwani, stressing that it is her vigilance that has resulted in the region being aware of the situation that exists there while aiding in his office addressing the matter in a timely manner. “It is at the end of the day we are part of the situation and we need to be vigilant as there may be instances where persons may try to thwart the process but we need to be focused and vigilant on the matter,” Gordon said.